With the innovations that the Cesium mapping platform have made recently to easily convert and load SketchUp models into the 3D map its easy to combine our floor-level markup with a high-quality photo-textured model of a property to show precisely where information like floor plans are located. This is a compact web app that works on mobile devices and gives brokers and property managers an easy way to share floor plans and suite-level building information. 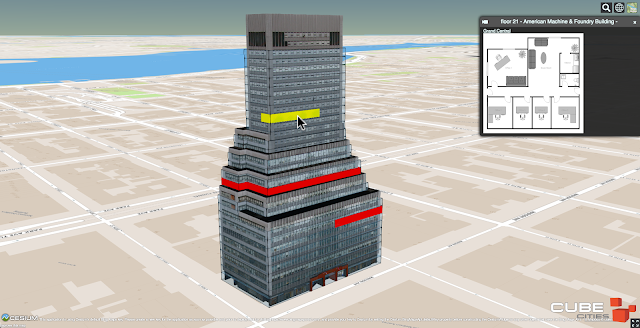 Here's a demo of a building in New York City.